Reordering insert effects is also my wish. MIDI EVENT LIST EDITOR ...please and thank you. Is there any plan to implement „AU Midi“ capability in the nearest future? It would be so much fun to use Rozeta by Ruismaker inside Auria. I assume AU Midi would also allow us to use the internal „Scale & Arp/Sequencer“-options of quite a few AU Synths/Drummachines for Midi recording... a whole new world! I frankly have no idea how much programming effort this, of course. I actually made a post on how to do multiple out mixes. It is completely possible. Here is the link to how I did it. Having the master track on the top would be nice when finishing one of my ”masterpieces” ! Track names in the "track info boxes". Seems like track names are limited to 9 characters, but anything over 7 gets cut at 6 and given a ’...’ tail ! The ability to punch in on the fly as well as auto punch in and be able to use audio unit effects at 1024 like beat maker 3 when editing. I hesitate purchasing Cubasis or Auria Pro. I like that Auria Pro has Fabfilters, and the transient detection for slicing, but I like too that Cubasis support AUv3 Midi. Any plans to include Auv3 midi in Auria ? If yes, included in the price or as in-app purchase ? 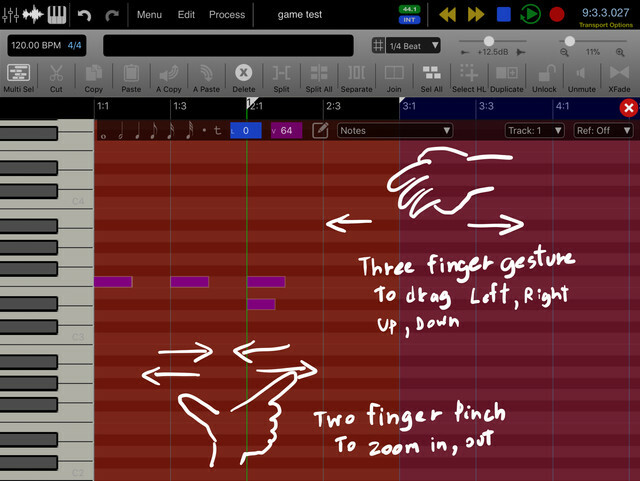 A "Dissolve Part" function for MIDI tracks. 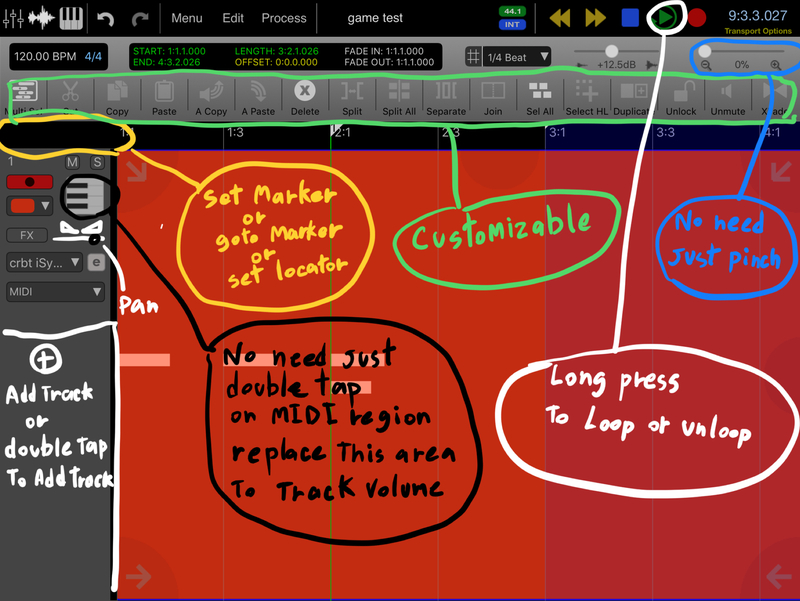 This would enable quickly separating drum or percussion MIDI tracks into separate tracks for each piece of the drum kit (in other words, separating by MIDI note), an especially useful approach in editing MIDI drum tracks.